Materials science contributes to the development of various disciplines whose shared goal is aiding living organisms or improving man-made structures. 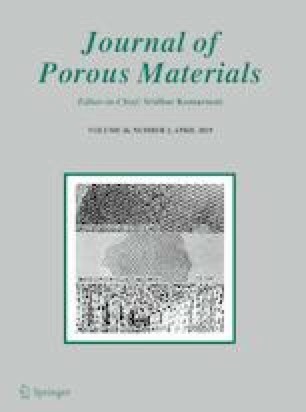 Biological hierarchically structured porous materials [Bio-HSPMs: e.g., zeolites, mesoporous silicas, other oxides, organic polymers, covalent organic frameworks (COFs), metal–organic frameworks (MOFs), graphene, molybdenum disulfate (MOS2), and porous nanocomposites] are among the latest advances in the synthesis, characterization, and application of materials. In Bio-HSPMs, hierarchy enables the outstanding properties (e.g., high surface area, excellent accessibility of active sites, and enhanced mass transport/diffusion) that lend these materials to be used in high-performance applications in various fields. In this paper, we cover the classification, characterization, toxicity, optimization, milestones, challenges, and future directions regarding the research and development of Bio-HSPMs for biomedical applications. Our efforts will aid multidisciplinary scientists who are planning to expand their research into this emerging area of research. PK wants to thank the Science and Engineering Research Board (SERB), New Delhi, for funding under ‘Empowerment and Equity Opportunities for Excellence in Science’ (Project’s Reference No. EEQ/2016/000484). This study was supported by a grant from the National Research Foundation of Korea (NRF), funded by the Ministry of Science, ICT, & Future Planning (No. 2016R1E1A1A01940995).